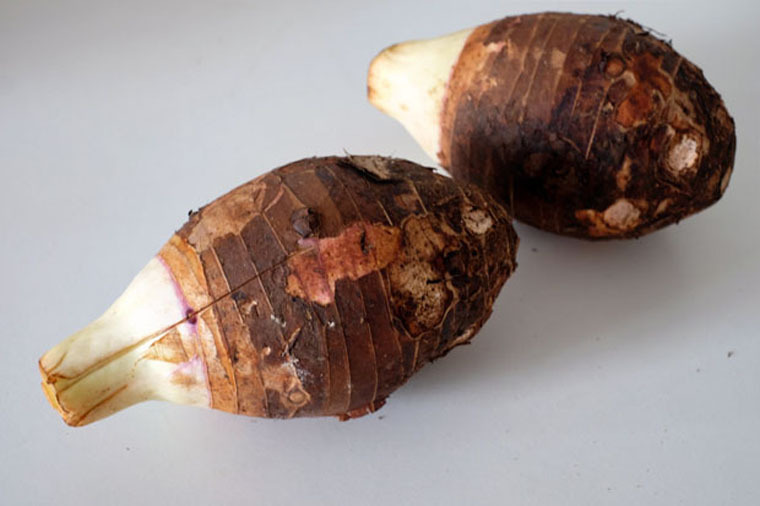 Taro are tuber vegetables. There are two types of taros, big and small ones. The bigger ones are used for making stew (and for me my favourite Hakka Yam Abacus). Whereas the small yam with more delicate texture is used for sweet soups. Supermarkets or wet markets. However, they are not easily available and can be relatively expensive. Choose yam that is hard and heavy. 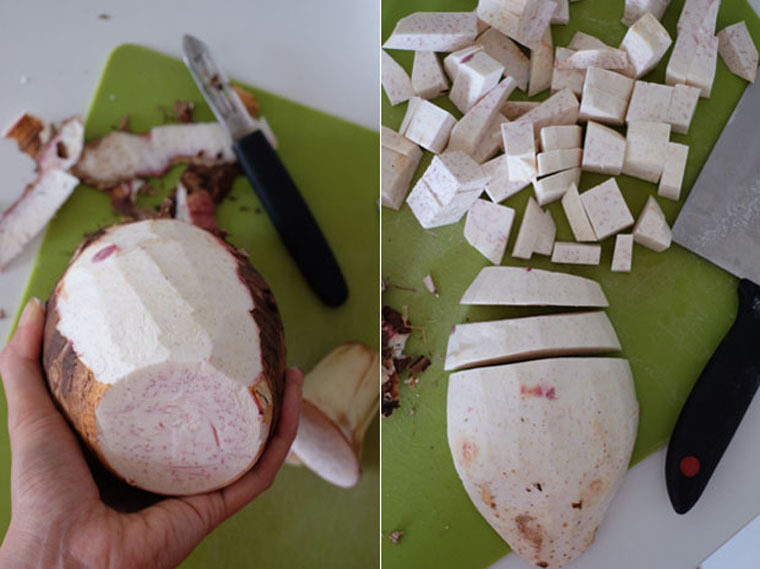 Taro contains calcium oxilate which causes irritation. If your skin is sensitive, you may want to wear gloves while handling this produce. For me, I have no problem touching it.